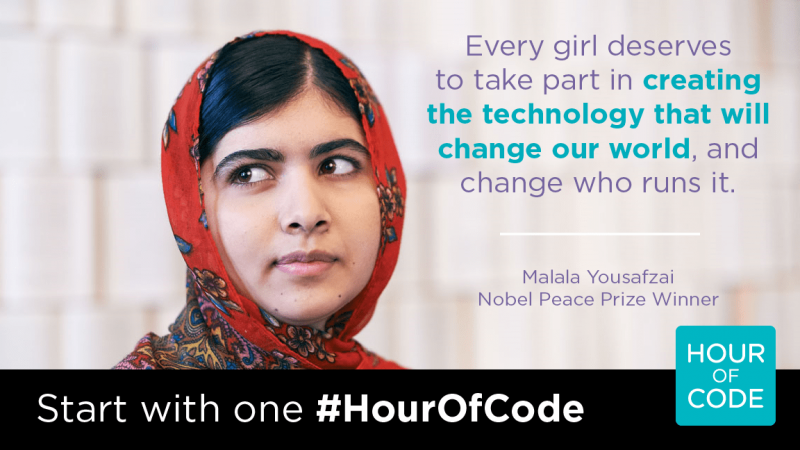 The Hour of Code is a global movement introducing tens of millions of students worldwide to computer science, inspiring kids to learn more, breaking stereotypes, and leaving them feeling empowered. 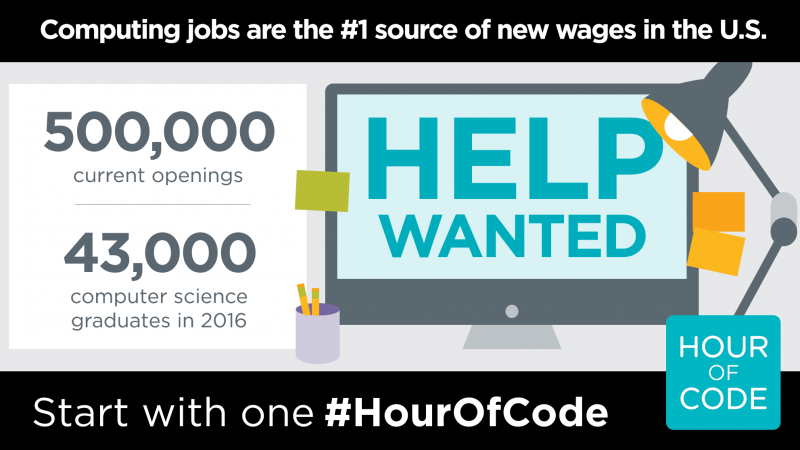 The Hour of Code began as a one-hour coding challenge to give students a fun first introduction to computer science and has become a global learning event, celebration, and awareness event. HourOfCode.com offers hundreds of one-hour activities in over 48 languages for kindergarten and up. Activities require no experience and can be run on browsers, tablets, and smartphones. The Hour of Code takes place every year during Computer Science Education Week, the first week in December. With a huge groundswell of support and attention, it’s an ideal time for schools and districts to put the spotlight on computer science programs and expand opportunities. Computer science is changing every industry on the planet. Every 21st-century student should have the opportunity to learn how to create technology. Computer science concepts also help nurture creativity and problem-solving skills to prepare students for any future career. In the first Hour of Code four years ago, more girls tried computer science than have tried in the last 70 years! Every Apple Store in the world has hosted an Hour of Code. Hour of Code has been featured on Apple, Amazon, Google, YouTube, Yahoo!, Bing, and Disney homepages. Celebrities Ashton Kutcher and Jessica Alba and tech leaders Sheryl Sandberg, Bill Gates, and Jack Dorsey have talked with classrooms in live video chats. President Obama wrote his first line of code to kick off the Hour of Code in 2014, and Canadian Prime Minister Justin Trudeau kicked off the Hour of Code 2016. Hour of Code students opened the NASDAQ at a special event in 2015. Over 300 partners have come together to support this grassroots campaign, including The College Board, Microsoft, Infosys Foundation USA, Google, Salesforce, BlackRock, Verizon, Disney, Teach for America, Khan Academy, DonorsChoose.org, and more. Women who try AP Computer Science in high school are ten times more likely to major in it in college, but females currently only make up 25% of high school CS classrooms, and those ratios don’t change in the workforce! An Hour of Code is a great place to start addressing the diversity gap and introducing computer science to more girls in an engaging and empowering way! When: Saturday, December 8th at 10:00 AM. Please arrive at 9:45 AM. Expected end time is 11:30 AM. Where: Wissahickon High School, Room D-29. 521 Houston Road, Ambler PA 19002. Enter through the Natatorium entrance on the southwestern side of the school. Bring: Your laptop (preferred), tablet, or mobile phone with Wifi abilities. Please also bring headphones and relevant power cables.